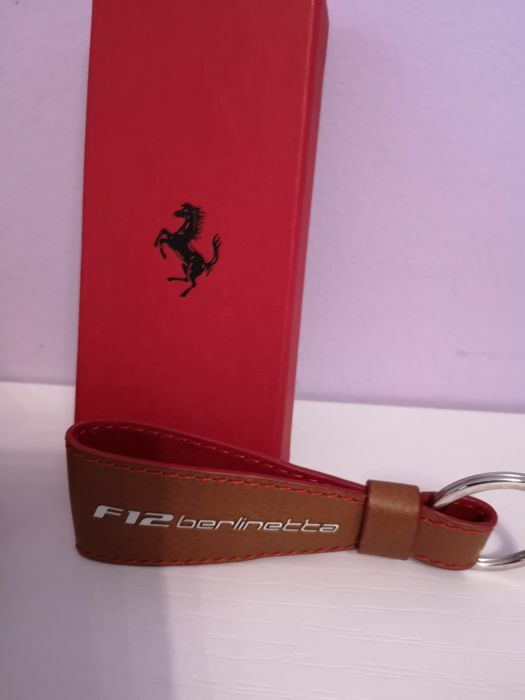 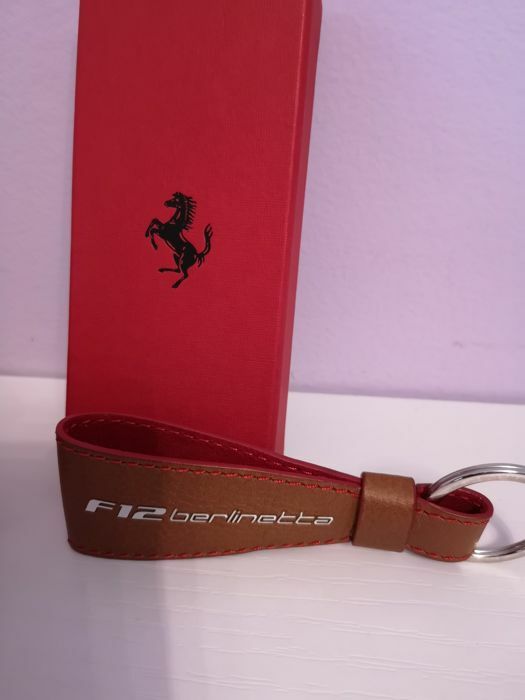 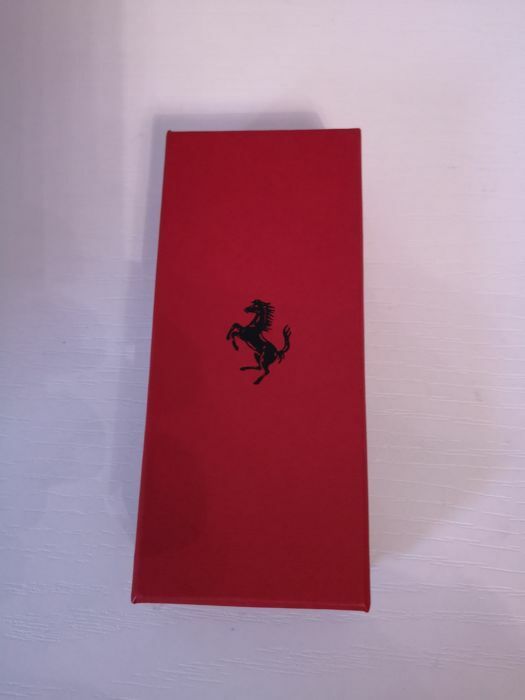 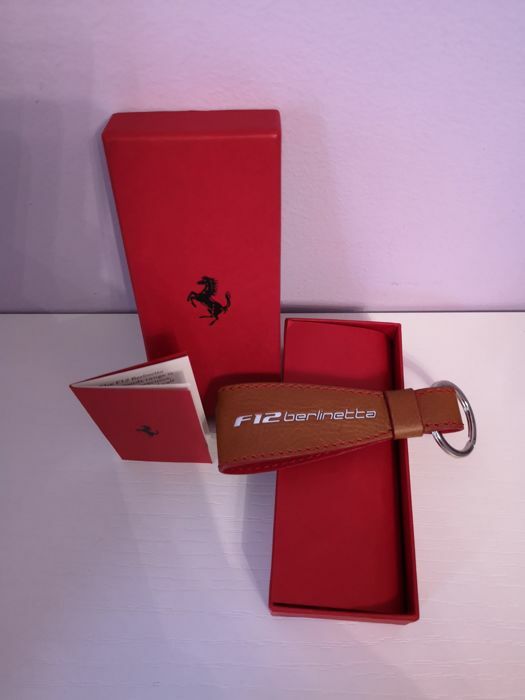 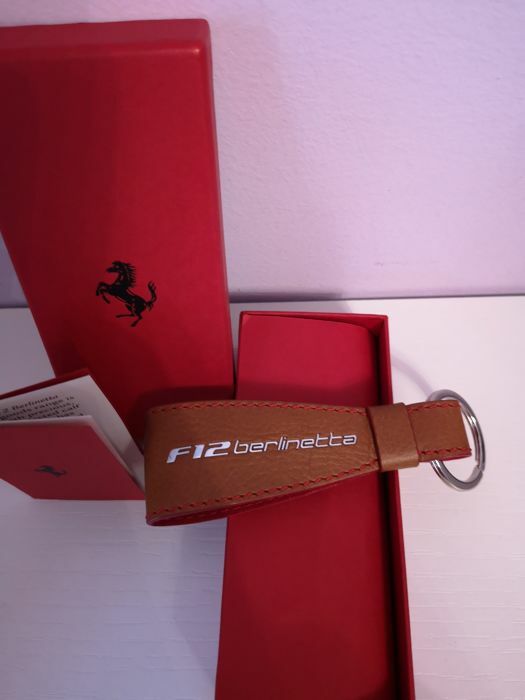 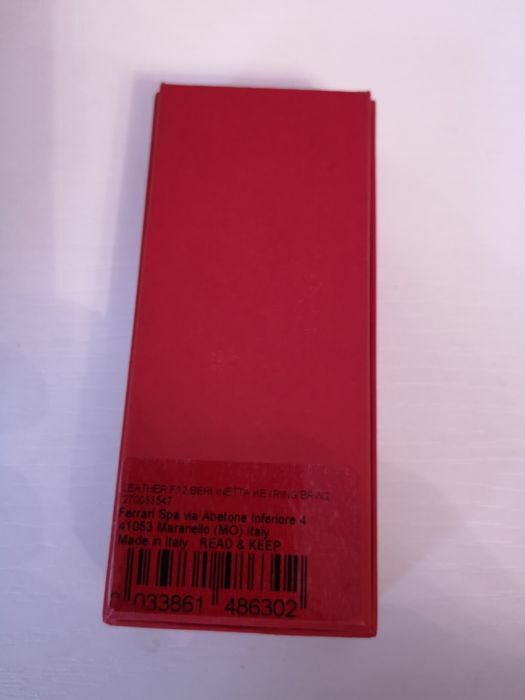 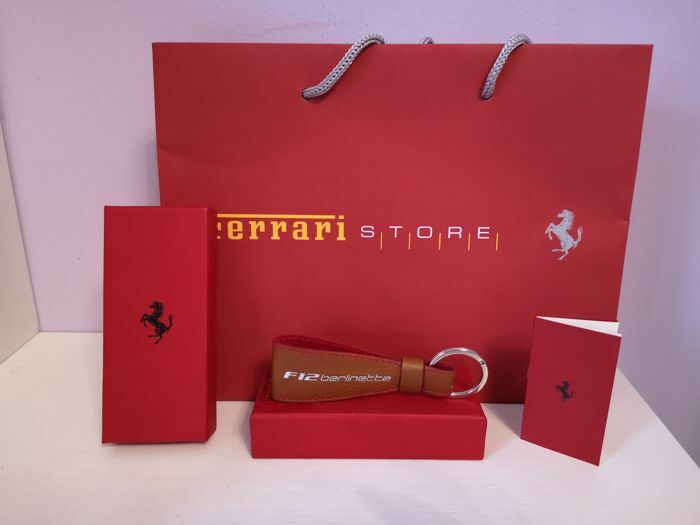 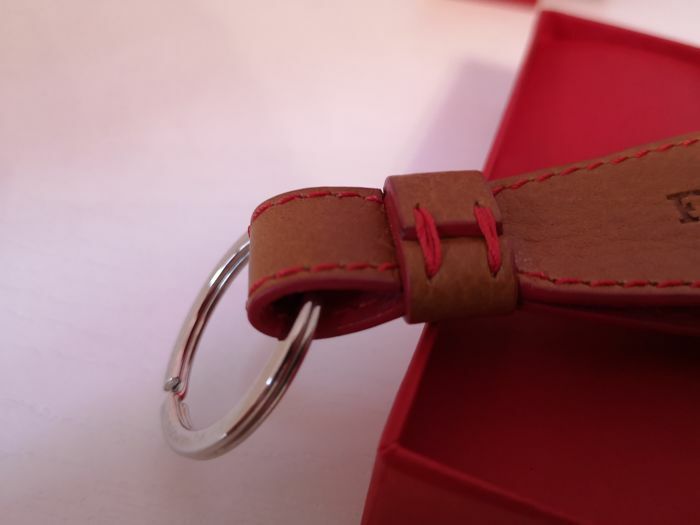 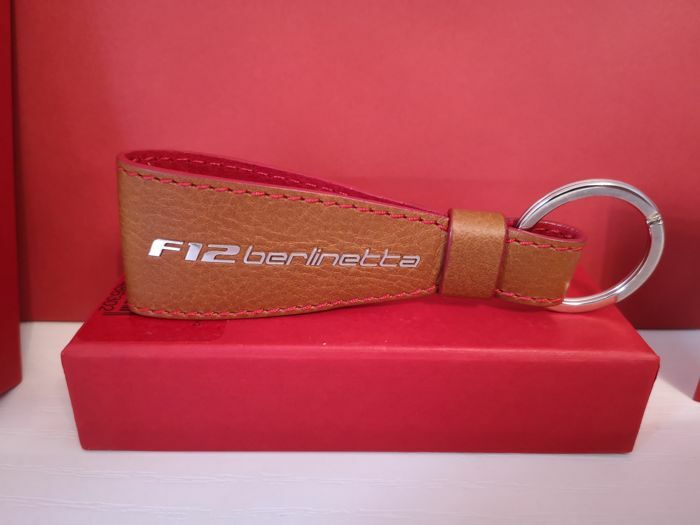 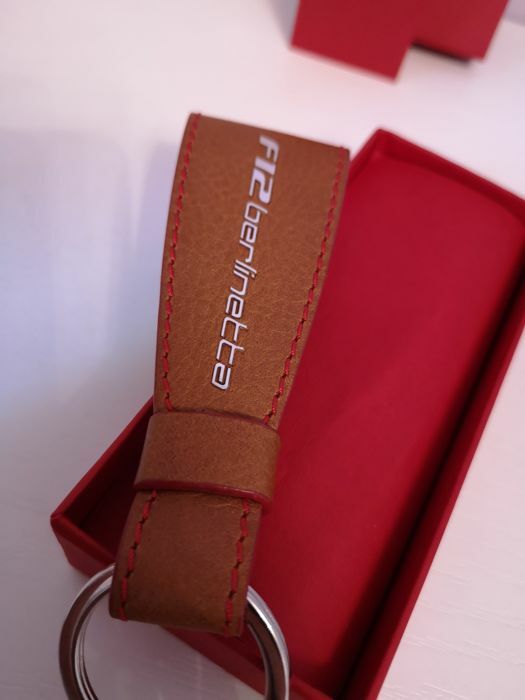 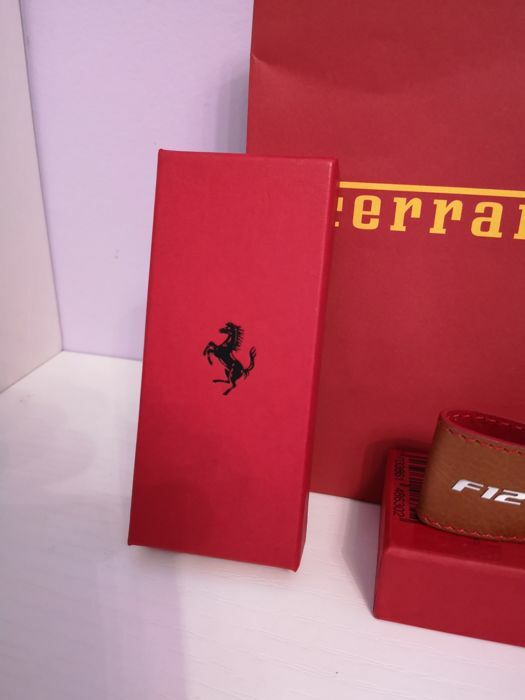 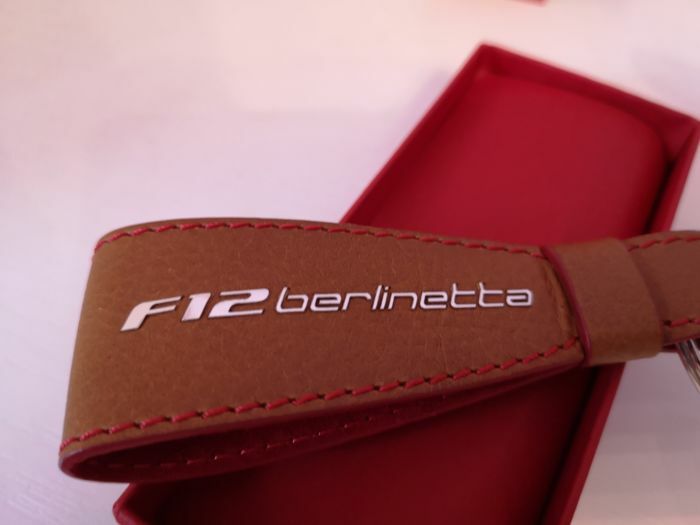 Ferrari leather keyring, never used, in its original packaging. 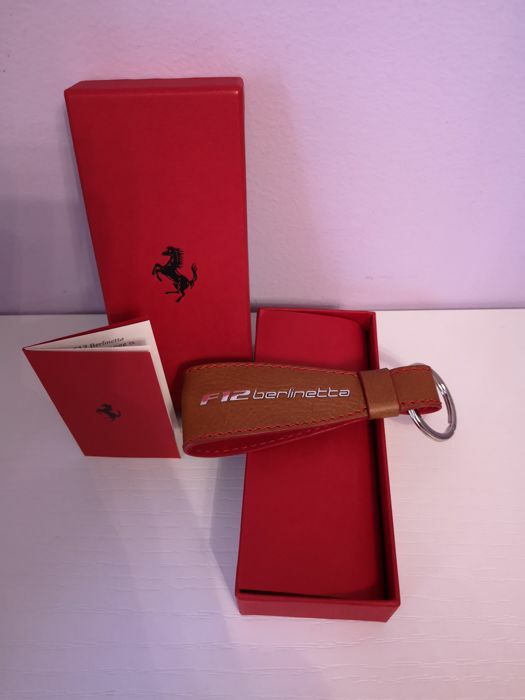 This product is made from the same high-quality cow leather that is used for the interior of Ferrari GT car. 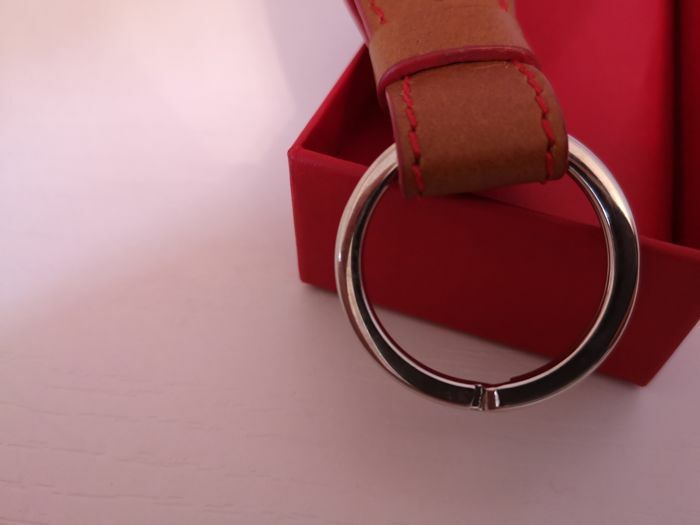 It is a leather carefully selected and tanned in order to offer a soft touch but at the same time an excellent resistance. 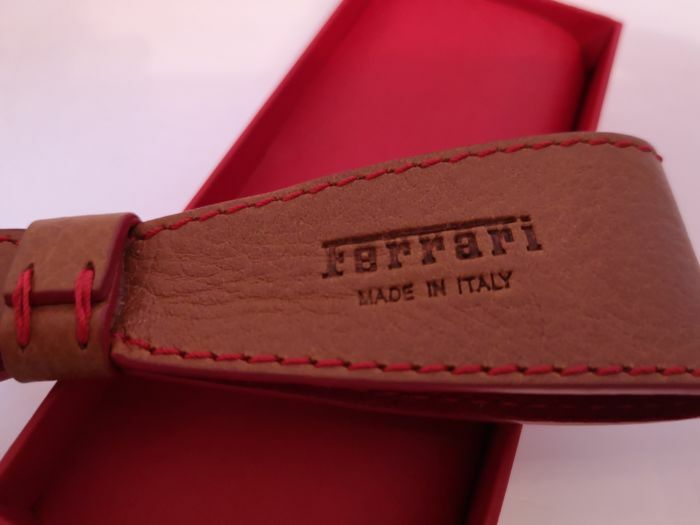 In order to keep unaltered its characteristics over time, it is recommended to remove traces of dirt with a soft cloth and neutral nourishing cream for leather goods. 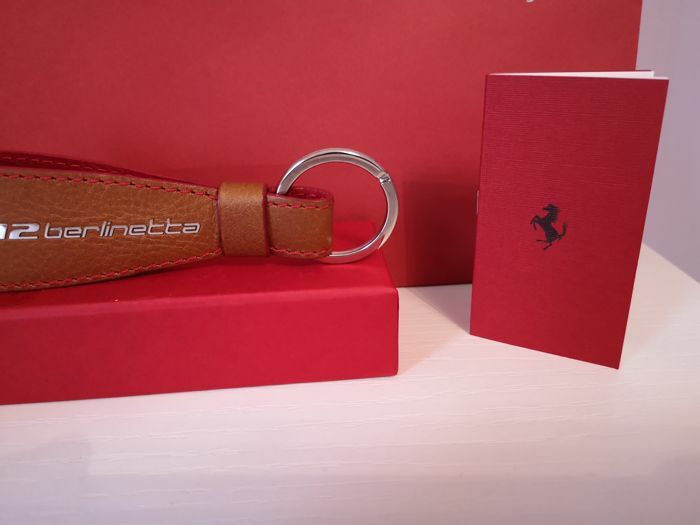 The quality of the thread used for the seams, the metal accessories with a finish treated to resist over time and designed to offer maximum functionality, The leather details sewn by hand, denote the same care for detail and the exclusive standards found in the saddlery of the touring car.